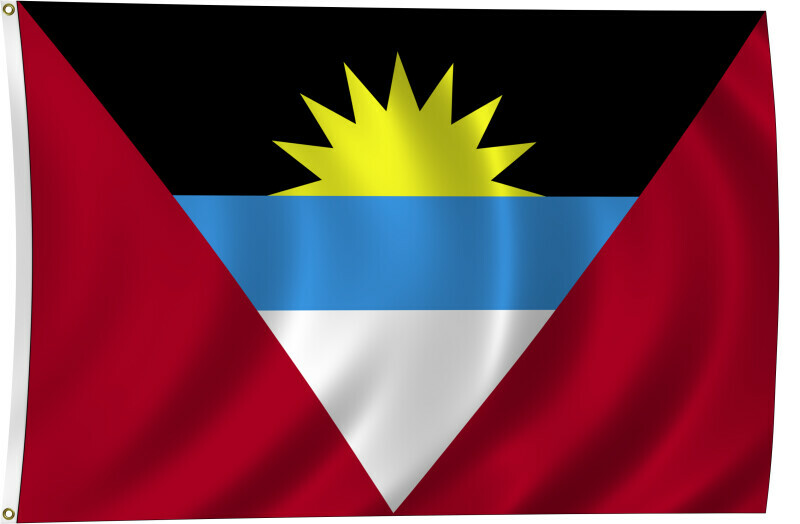 Color flag of Antigua and Barbuda. Red, with an inverted isosceles triangle based on the top edge of the flag; the triangle contains three horizontal bands of black (top), light blue, and white, with a yellow rising sun in the black band. Flat color and black/white versions of world flags are available on the Clipart ETC website.